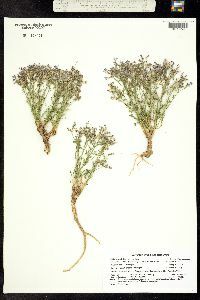 Locality: United States, Colorado, Gunnison, Curecanti National Recreation Area. Overlook along Dillon Pinnacles Trail. GPS waypoint: AC6. Habitat: Sage shrubland. Top of steep south-facing slope in very rocky soil with Tetraneuris ivesiana and Psilochenia occidentalis. Notes: Purple flowers. 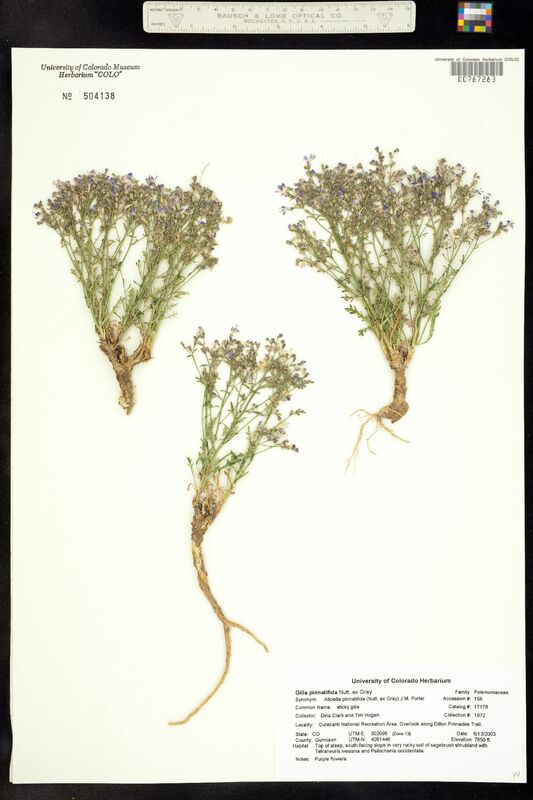 Original ID: Gilia pinnatifida Nuttall.